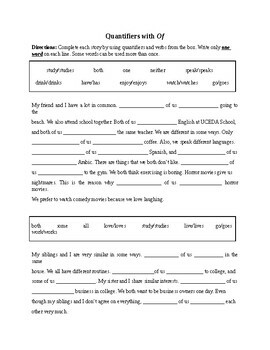 This worksheet was created for adult ESL students to be used as a review exercise. It can also be assigned as homework after a lesson. It is a fill-in-the blank worksheet with two different stories. It also includes two boxes with verbs and quantifiers that should be use to fill in the blanks.